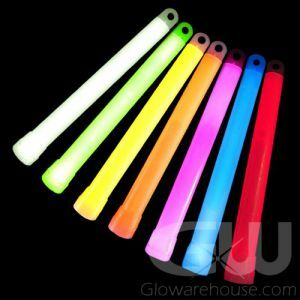 - 12 Hour Premium 6 inch Glow Sticks! 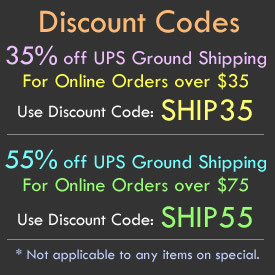 - 8 Bright Colors to choose from! - Emergency Kits! Safety Lighting! For versatility and durability nothing matches our specially designed 6 Inch 12 Hour Premium Glow Sticks! 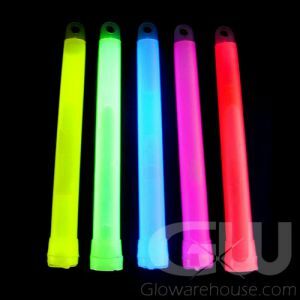 Packed with more liquid glow than other Glow Sticks of similar size, our Premium 6" Light Stick will burn brightly and reliably for up to 12 hours. 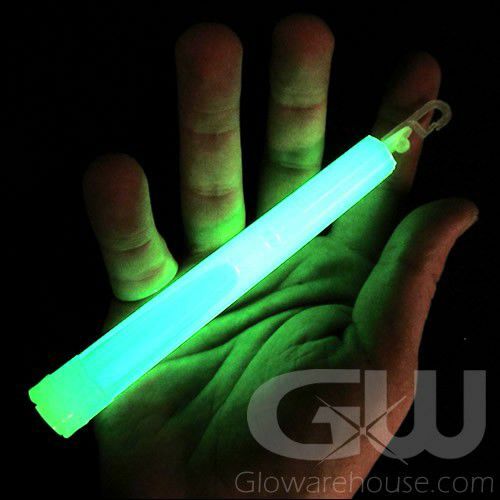 They are the best bang for your glow stick buck! The useful hook clip at the tip of the 6 Inch Glow Sticks make it suitable for hooking or linking it to a wide variety of objects and materials. (This can be removed to create a lanyard hole.) Completely waterproof, and non-heat producing, 6" 12 hour glow sticks are perfect for emergency kits for earthquakes, hurricanes or floods, safety lighting and night area and personnel marking too. The 6 inch glowsticks can be put to a variety of happy, fun uses as well! The 6" glow sticks are great for Halloween decorations and costumes, for glow stick dancing, dressing for concerts and fairs and for decorating for all kinds of celebrations and holidays! 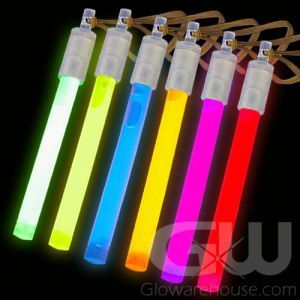 The 6" glow sticks are available in a wide variety of colors — red, green, blue, orange, yellow, pink, white and aqua — and the uses of 6 Inch Glow Stick are only limited by your imagination! 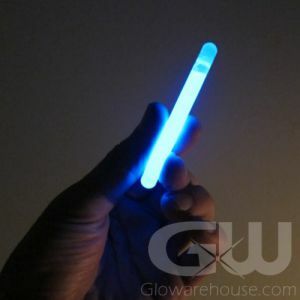 To activate, just bend the 6" glow stick enough to break the inner capsule. Shake to mix and start the glow! Individually foil packaged for 5 year shelf life.